If garden is not your idea of an ideal family gathering, you have the alternative of using our plush open terrace that can be decked up beautifully using LED lights, music system, Karaoke equipment, flowers, and other decoration accessories. 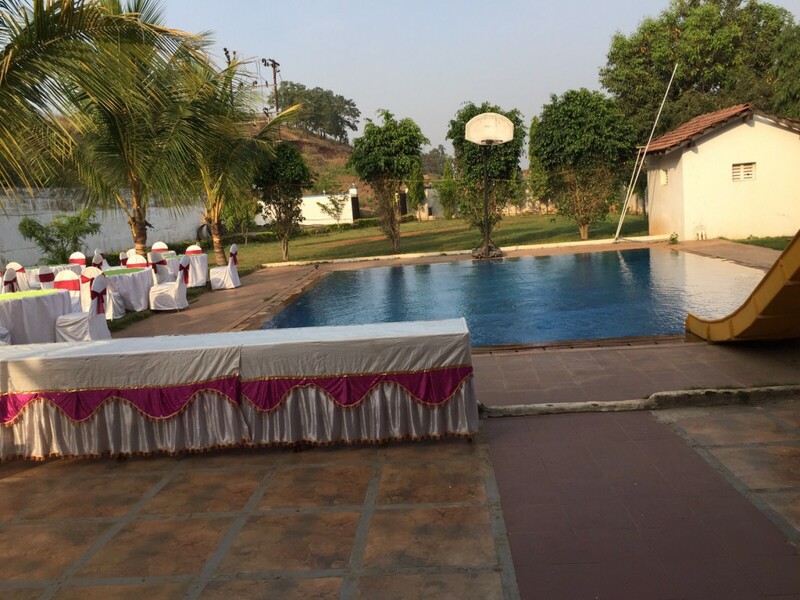 All in all, the Karjat Villa will give you an absolutely spellbinding experience for any purpose (Family Get Together, Honeymoon destination, destination wedding near Mumbai, Pune or Lonavala ) that you may book it for. There is no sincerer love than the love of food. This adage aptly epitomizes our attitude to serving food to our customers. At Karjat Villa, we provide some enticing fare and mouth watering delicacies to our customers. Our food package comprises of a combo of Breakfast, Lunch, and Dinner, which shall have to be subscribed at the time of check-in, on a per person basis. Our breakfast menu usually features Maharashtrian, South Indian, and North Indian food items. However, the guests are given the choice of having their delicacies of choice from the presented fare. Besides such choices, customers can also opt for a customized breakfast comprised of cereals, eggs, bread, etc. As breakfast at Karjat Villa is served via buffet mode, the menu is subject to change every day in order to provide the best possible variety of our culinary expertise to our customers. It should be noted that as it is with the breakfast fare, lunch and dinner items are also subject to change every day at the Karjat Villa. The all inclusive price of the three buffet meals is INR 1000 per person, which is to be paid as cash in advance at the time of checking into the villa.